Google is trying every effort to make the World Wide Web faster for Internet users. 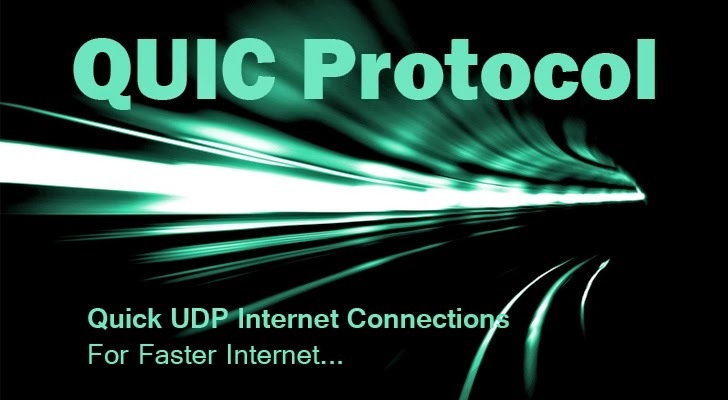 The company has announced plans to propose its homemade networking protocol, called Quick UDP Internet Connections (QUIC), to the Internet Engineering Task Force (IETF) in order to make it the next-generation Internet standard. Probably the term QUIC is new for you, but if you use Google’s Chrome browser then there are chances that you have used this network protocol already. QUIC is a low-latency transport protocol for the modern Internet over UDP, an Internet protocol that is often used for streaming media, gaming and VoIP services. The search engine giant first unveiled the experimental protocol QUIC and added it to Chrome Canary update in June 2013. The protocol already included a variety of new features, but the key feature is that QUIC runs a stream multiplexing protocol on top of UDP instead of TCP. 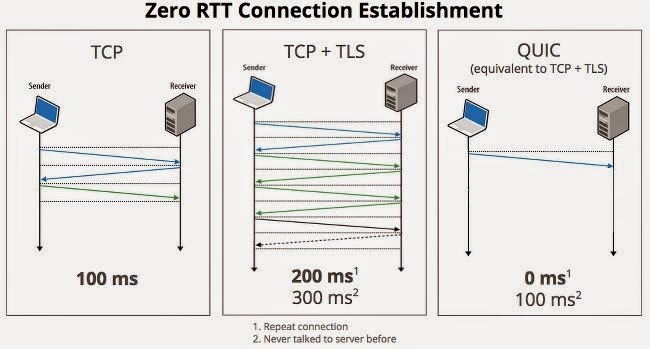 QUIC was developed to speed up latency-sensitive web applications, such as search, by reducing the number of network round-trip time (RTT) that it takes in order to establish a connection to a server. "The standard way to do secure web browsing involves communicating over TCP + TLS, which requires 2 to 3 round trips with a server to establish a secure connection before the browser can request the actual web page," Google's Chrome team wrote in a blog post. "QUIC is designed so that if a client has talked to a given server before, it can start sending data without any round trips, which makes web pages load faster." Fast (0-RTT) connectivity similar to TLS Snapstart combined with TCP Fast Open. With the help of QUIC, Google aims to combine the best features of both UDP (User Datagram Protocol) and TCP (Transmission Control Protocol) with modern security tools with the goal of Zero-RTT connectivity overhead and better SPDY support. SPDY is a networking protocol introduced by Google in 2009 and is recently being built into upcoming HTTP/2 (Hypertext Transfer Protocol version 2) protocol. SPDY is also supported by some technologies including Google's own Chrome browser, Mozilla's Firefox, Microsoft's Internet Explorer 11, many websites such as Facebook, and some of the software that delivers Web pages to browsers. "Today, roughly half of all requests from Chrome to Google servers are served over QUIC and we’re continuing to ramp up QUIC traffic, eventually making it the default transport from Google clients — both Chrome and mobile apps — to Google servers," Chrome team explained. The search engine giant does not know how much faster QUIC would make Web surfing over the Internet, but ultimately its goal is to bring improvements to the web we are using today.